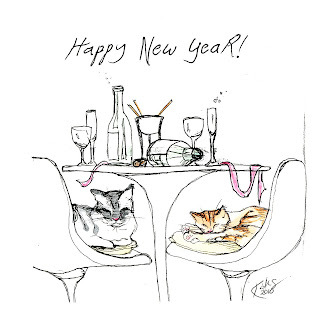 A little overdue, but because of the kitchen reno, my usual Christmas Cat cards didn't make it out in time. A lot of people asked me about them and seemed quite disappointed at the thought of not receiving them. 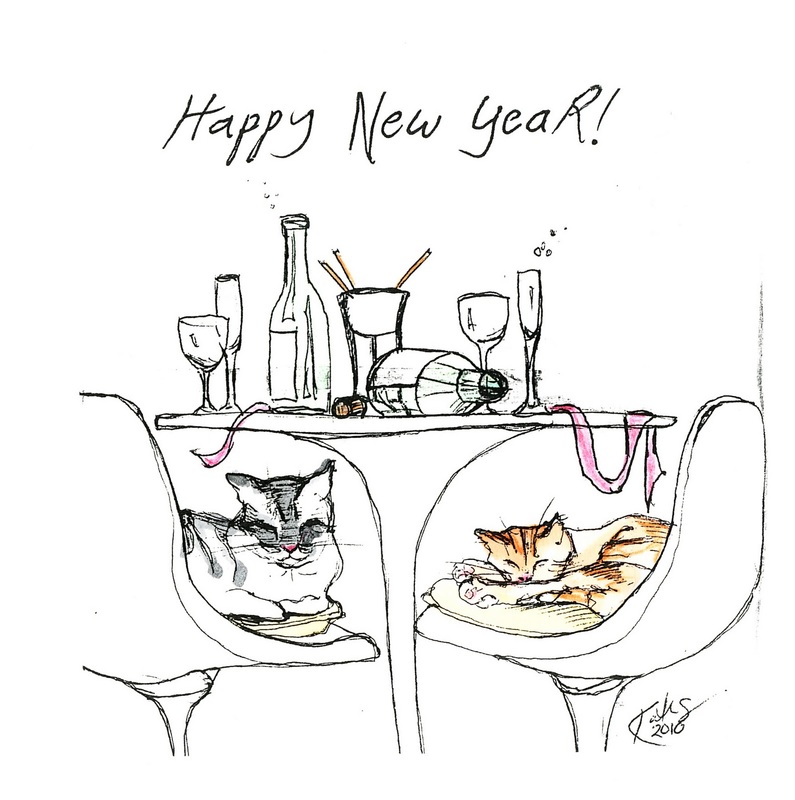 So, I decided to do New Year cat cards featuring my new dining set, and of course, Boris and Chester.